Vivian Louise Black (1940- ), the daughter of Pilgrim Black (1905-2002) and Lula Mae Haynes Black (1917-2007), who got married in 1937. Vivian is also the oldest sister of Lula Yvonne Black (1942- ); Charles Samuel Black (1945- ); Pilgrim Black, Jr. (ca.1947- ); and Patricia Ann Black (1956- ); as well as the half-sister of David Harry Black (1929-2012). 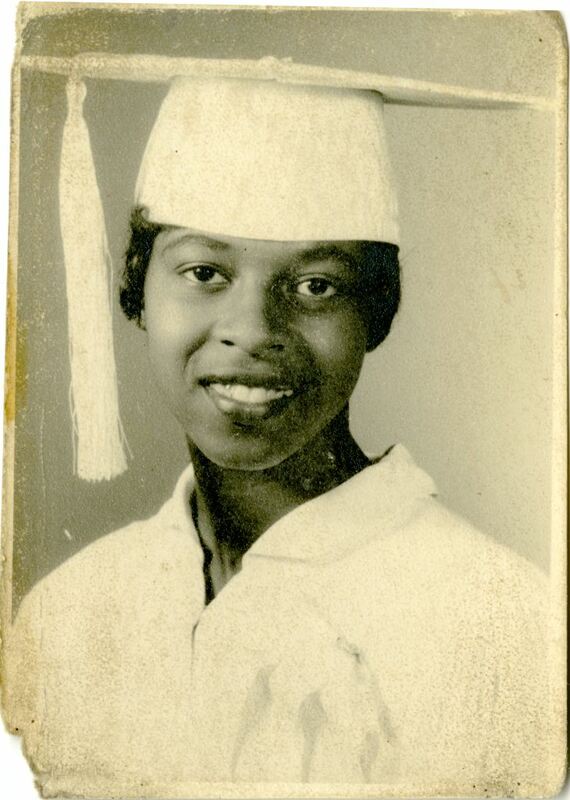 Vivian graduated from Crooms High School around 1958. She married Benjamin Moore Hawkins in the 1960s and moved to Rochester, New York. The couple had two children together: Benjamin Moore, Jr. (1960-) and Fejetta Michelle Hawkins (1972-). Vivian worked for several years in a factory until she suffered a stroke at age 35, when the left side of her body became completely paralyzed. She moved back to Sanford, Florida, after her stroke. Originally published by Crooms High School and owned by Pilgrim Black. Crooms High School. 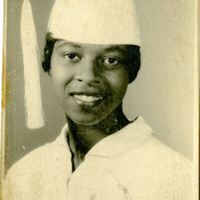 “Senior Portrait of Vivian Louise Black.” RICHES of Central Florida accessed April 20, 2019, https://richesmi.cah.ucf.edu/omeka/items/show/2670.